Click here for Joy’s bio. For more articles by Bob Schwabach, click here. You can follow us on Twitter at Twitter.com/oncomp. For columns written before 2007, please visit oncomp2.com. I just read your column about putting your picture on fake magazine covers. Digital camera’s used to bundle software for doing things like that. I have an old disc from a polaroid digital camera called that did this. Two interesting and useful sites I’ve recently found are dogfriendly.com and talkingstreet.com. Tess just adopted a dog and I (quasi-grandma) am finding info. for her and Riley. In addition, the city tours seems like a fun way to download walking tour info onto your cell phone. I don’t know how well it works but have heard good things. I really enjoy the headsets I rent for touring museums so I figure this is worth trying. Unfortunately, I think they primarily focus on places that I only wish to go, however, a trip to San Francisco seems likely. I’d guess Chicago has much to offer. I’m spending hours browsing your site. So much good stuff. Found you on blogtalkradio, and enjoyed all the info you guys talk about on there. The great online applications you mention are what I like the most. My favorite in Windows Explorer (surprise how many users don’t know what WE is), is the F2 key to change a file name or copy a file name for pasting in another folder, especially long names. A programmer for a software company was trying to get their bad program to work for our company and didn’t know that trick. Glad I wasn’t paying for the software. I’ve been reading your Sunday column now for some time and appreciate the knowledge you convey. Could you turn your spotlight on what are the best phone number search companies and cut through the b.s. for us? Being in business I get hundreds of calls on caller i.d. and need to know, sometimes, where they come fro, but if I just put one in the search bar (doesn’t matter whose) it brings up a hundred thousand phone search companies and I don’t have the time to filter through them. So I need a ‘top 5’. Hope you can do this sometime. I’ll try sifting through your site but wish you could get this in somewhere in the syndicated columns you do. Thanks in advance. Recently , reference to a new computer with new OS. Should be simpler than MS to opperate. It’s the Google Chromebook, and we’re going to be writing about the latest new version after we test it. new commenting in your blog very long time reader adore it. Wow. You have tons of information here. For general tech support on any computer problem http://techsupportheroes.com can usually fix your computer problem remotely over the Internet. 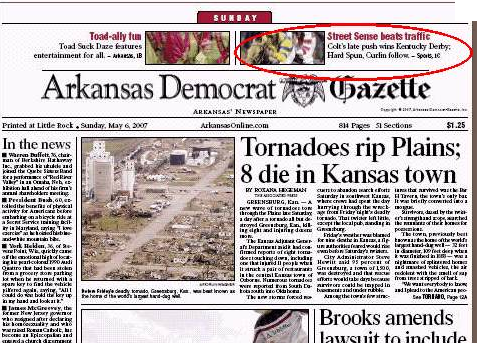 Used to read your column in the Fayetteville edition of the Democrat Gazette. But they dropped it a few years ago. So I went looking for you on the web. Like you so much I made you my home page so I wouldn’t miss any good info. Oddly, this is the first time I ever clicked on your “about” button. Want you to know that, like many others, I really appreciate the news & info you provide. Thanks. Thanks so much. You made our day! Just looked at their EULA Privacy info. Subject to laws in Republic of China. Just DELETED it and quick. Maybe a heads up to others before they decide to download or not. Love your column and all the things you write about. I find much useful information. Thanks. Could I trouble you for an expert recommendation for a windows file recovery “undelete” program? Thank you very much!! We’ve had good results with products from Ashampoo.com. Here’s a link to their “Undeleter:” https://www.ashampoo.com/en/usd/pin/0081/system-software/undeleter I just tried the free trial version and it found a lot of deleted files, but not all of them were recoverable. We’d love to hear about your experience. 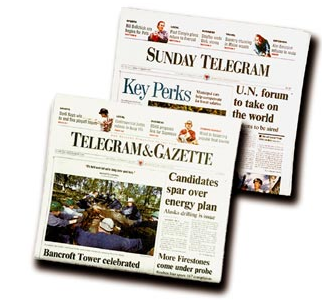 Missed your column in the Worcester Telegram this Sunday – it’s a weekly favorite of ours. . Any idea what happened? Thanks for writing. It would be great if readers called the paper and let them know we’re missed. We notice that they’re still posting us online: Click here.